Swapping chef's whites for ivory silk, Lydia Fletcher's competing in a contest to win her beloved sister her dream wedding. But a chance meeting with the gorgeous but guarded widower Massimo Valtieri is something the contest's small print failed to mention! When Lydia narrowly misses winning, Massimo offers her his grand palazzo for her sister's wedding venue in return for Lydia's help on his estate. But with the heat between them rising fast, her sister's wedding might not be the only one Lydia has to plan! What did handsome Italian businessman Lorenzo Forli mean when he said that Jess would be his 'reward'? When Lorenzo proposed, Jess thought she understood: to make her his wife was what he ultimately wanted. But there was a shock in store! Lorenzo had failed to tell Jess something about his past. Could it be that he'd used all the means he possessed to claim the reward he'd really wanted - to seduce Jess into his bed? 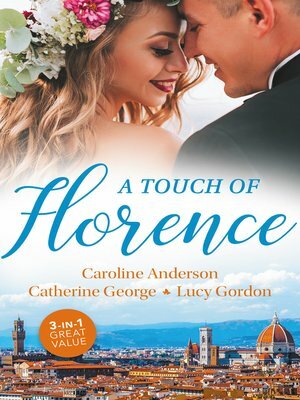 Tired of being in the shadow of her sisters, Charlotte Patterson decided to leave Manhattan behind and discover just what Italy's la dolce vita had to offer - good food, fine wine...and delicious men?